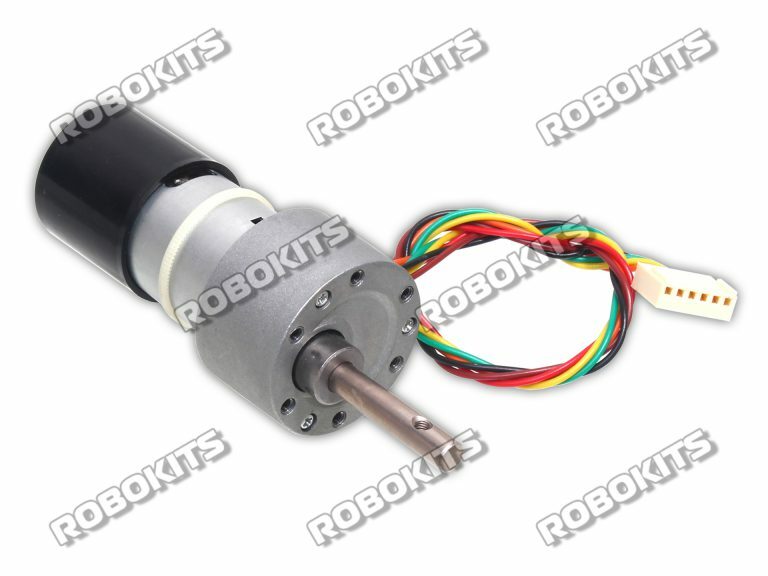 200RPM 12V DC geared motors for robotics applications. It gives a massive torque of 32Kgcm. The motor comes with metal gearbox and off-centered shaft.